LETRAN coach Jeff Napa put the blame on himself as the Knights’ continued their plunge in the standings of NCAA Season 92 after losing their fourth straight game. The Knights are now tied at sixth place with Lyceum, sporting identical 5-6 records, after another heartbreaking loss on Tuesday at the hands of Jose Rizal University. And Napa didn’t have to look far to find someone who needs to step up. “Kailangan ko pa ma-motivate ‘yung mga bata. Down ‘yung mga bata. I have to step up (para tumaas) ‘yung confidence nila,” he said. 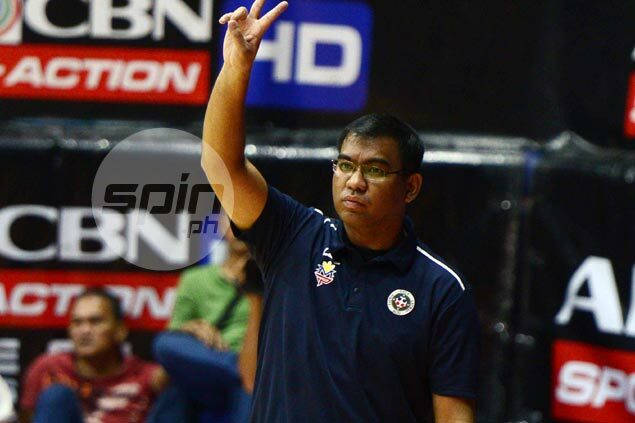 Losing is quite new for the Letran coach who came from a multi-titled stint with the National University juniors squad in the UAAP. “Hindi ako sanay sa ganitong sitwasyon. Kailangan ko pa rin pagdaanan ‘to and take the full responsibility,” said Napa. The Knights also continued a troubling trend of collapsing in the endgame as they failed to protect a four-point lead early in overtime to bow to the Heavy Bombers, 75-68, after losing to Lyceum in the previous match on a game-winning lay-up by MJ Ayaay. Napa, though, offered no excuses and hoped to put an end to the slump in their next match. “Positibo pa rin ako na kahit ganito ‘yung outcome, positibo ako na may ilalabas pa ‘yung team kahit four-game losing streak kami. We will find a way,” he added. The Letran coach also lauded the efforts of his player, seeing that they are doing their best to arrest their slide. Rey Nambatac once again led the way for the Knights with 19 points, but was ineffective in the overtime period thanks to the defense of the Heavy Bombers. JP Calvo also had 18 points, while Bong Quinto got 14 before fouling out. “Si Rey, given na ‘yun and I’m sure, ‘yung mga bata, they tried their best. ‘Yung confidence ko naman sa kanila, nandoon pa rin. It’s a matter of paano sila maging leader sa court,” said Napa.